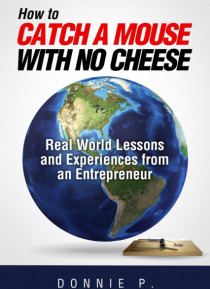 How to Catch a Mouse with No Cheese is written for people who either have been in business for up to a year or are interested in starting a business, but to not have money. It discusses five life-changing principles that will help you succeed. Each principle has its own basis for preparing you to get your business up and growing with no money. So, whether you own a fledgling business or plan to st… art a business this is the book for you. Other ebooks releases by Donnie P.